Garson, G. D. (2016). 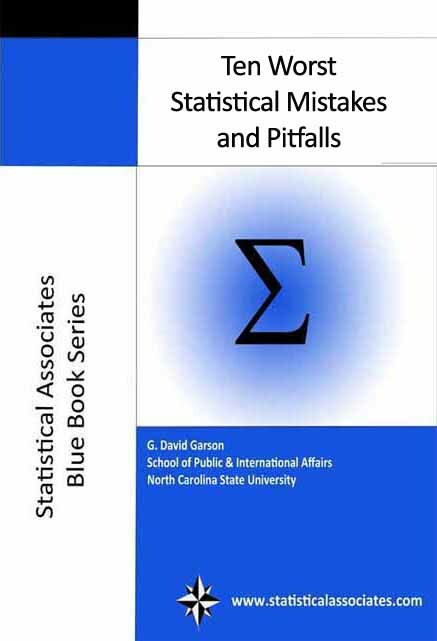 Ten Worst Statistical Mistakes and Pitfalls. Asheboro, NC: Statistical Associates Publishers. Statistical Associates Publishers Statistical Associates Home Page. This set of "Ten Worst" lists is under construction. Lists available are those below.